Inflatable collar, the RIB is fitted with a foldable T-Top with windshield to pro- vide some protection from the elements. 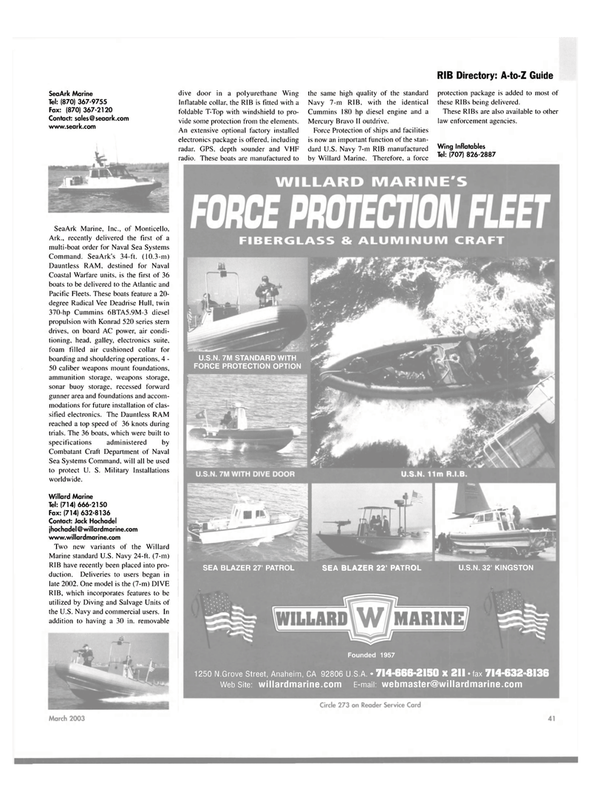 Force Protection of ships and facilities is now an important function of the stan- dard U.S. Navy 7-m RIB manufactured by Willard Marine. Therefore, a force protection package is added to most of these RIBs being delivered. These RIBs are also available to other law enforcement agencies. Sea Systems Command, will all be used to protect U. S. Military Installations worldwide.